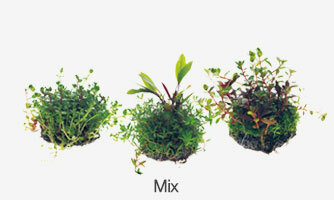 "Wabi-kusa" offers many advantages over general aquatic plants. 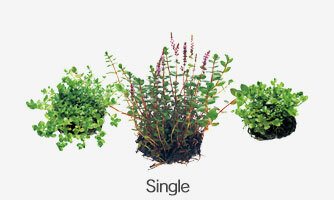 The greatest feature among them is that you can handle it very easily. 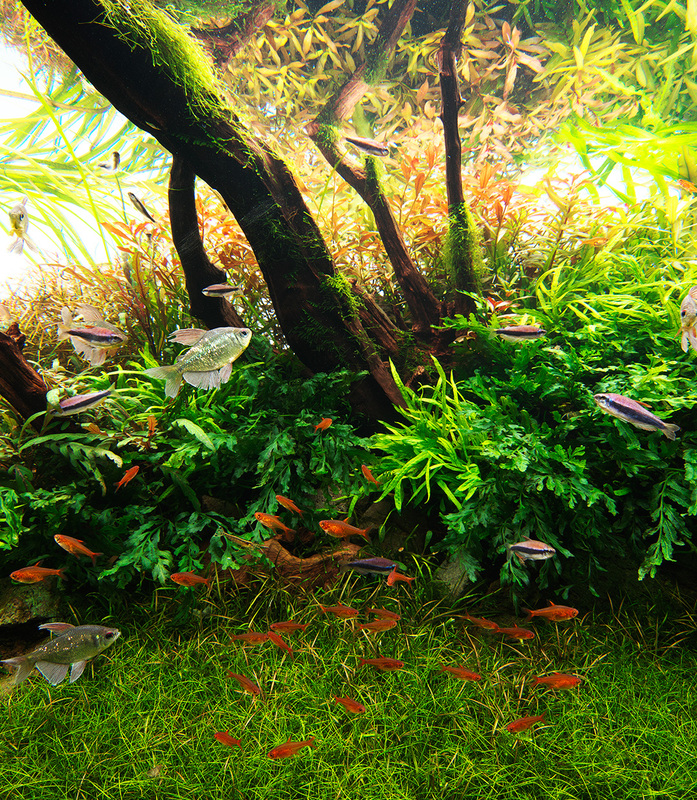 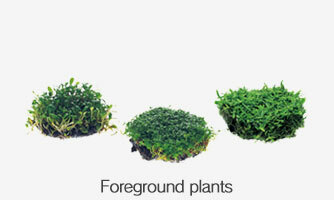 It doesn’t require any planting work, and can be just placed on the substrate of aquarium. 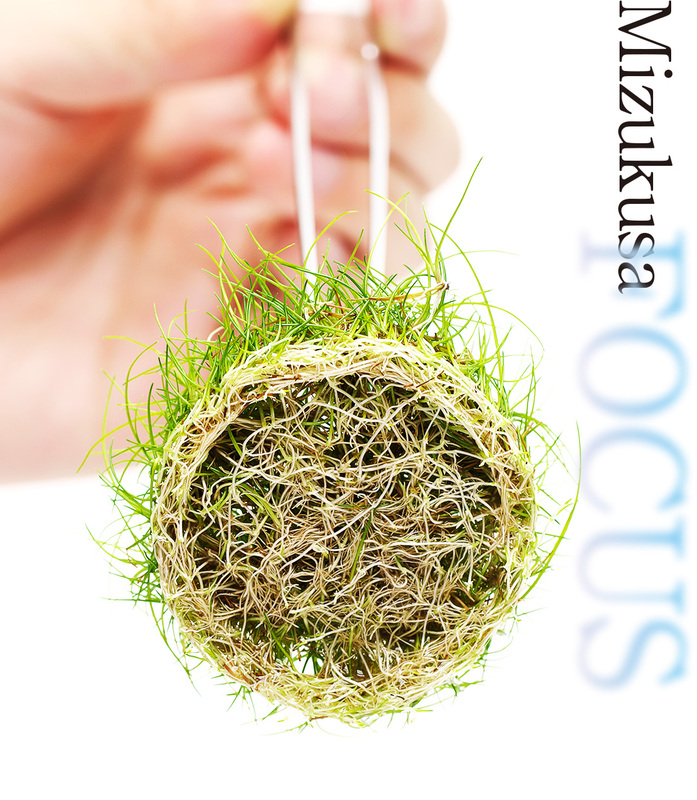 In the Wabi-kusa form, nothing would harm the roots of plants that are easily damaged at planting, and their new shoots will grow quickly without failure. 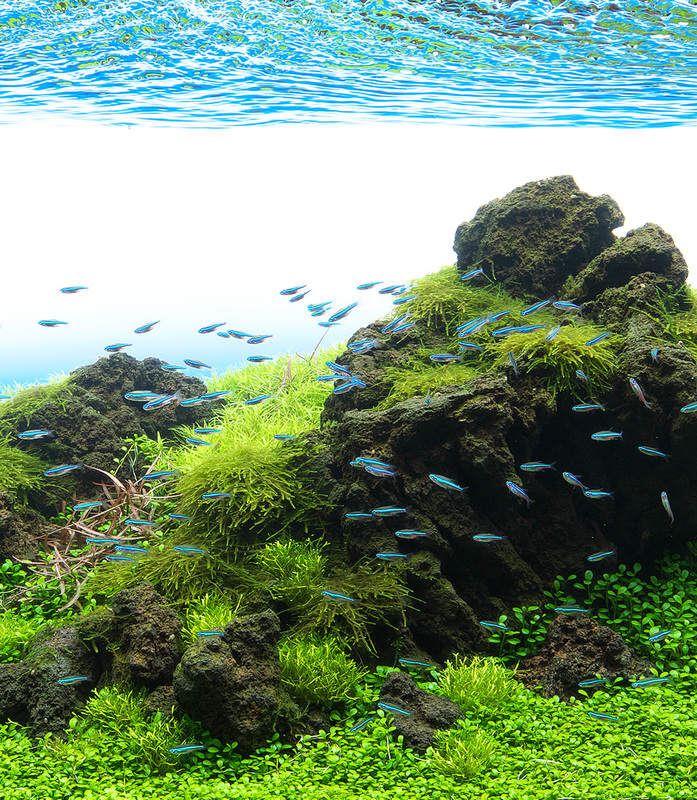 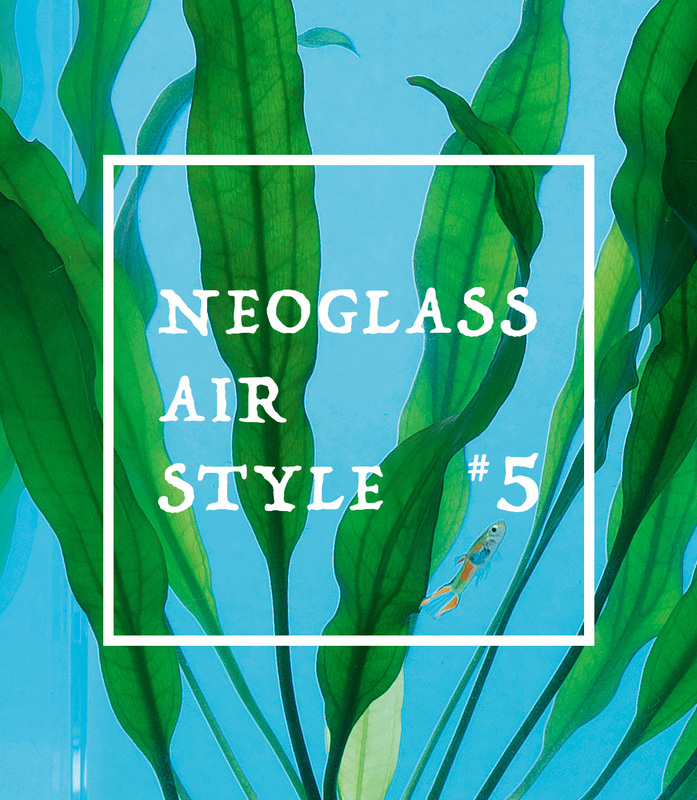 Furthermore, "Wabi-kusa" can be enjoyed in both terrestrial and underwater environments, and meets a wide range of needs, from appreciating a piece of Wabi-kusa in a glass vessel for a short period of time to creating a full-scale aquarium layout with some pieces.